You will love this immaculate Ranch with large corner lot. Relax and get cozy in the spacious Great Room with fireplace. The Eat-in Kitchen has loads of cabinets, smooth top range, microwave range hood, refrigerator and new garbage disposal-which will remain. You can access the patio from the sunlit breakfast area-very convenient for entertaining. The Master Bedroom has two large closets and private Master Bath. The two additional Bedrooms share the second Full Bath. Additional features are Laundry Room, covered front porch, garage, private wood fenced yard, newer water heater and newer shed. Conveniently located near I-71, YMCA, Historic LaGrange District, medical facilities, dining and shopping- plus award winning school district. Come take a look today! Direction: I71 N, exit 22, left on Hwy 53 to right on Hwy 146 to Woodland Lakes on left. Woodland Lakes is a subdivision within the city of La Grange, Kentucky. There are currently 1 Homes for Sale within Woodland Lakes, with asking prices ranging from $232,500 to $232,500. The average list price per square foot of the available inventory in Woodland Lakes is $105, which is below the La Grange average of $233. The Average Sales price of all sold real estate in this subdivision for the past year is $206,795. Recent comparable homes have been selling for 98.57% of their asking price. Waterfront homes represent 100.00% of the available Woodland Lakes inventory. The total number of households in the zip code of Woodland Lakes is 6,730, with an average household size for of 2.74 people. The total number of renter households within the zip code of 40031 is 1,390, which means that 79.35% of households in this zipcode are owner occupant households. 212 Woodland Lakes Dr, La Grange KY 40031 is a Home, with 3 bedrooms which is recently sold, it has 1,100 sqft, 0 sized lot, and 1 Car Garage,Attached,Entry Front parking. A comparable Home, has 4 bedrooms and 2.5 baths, it was built in and is located at 951 Woodland Ridge Cir La Grange KY 40031 and for sale by its owner at $ 232,500. 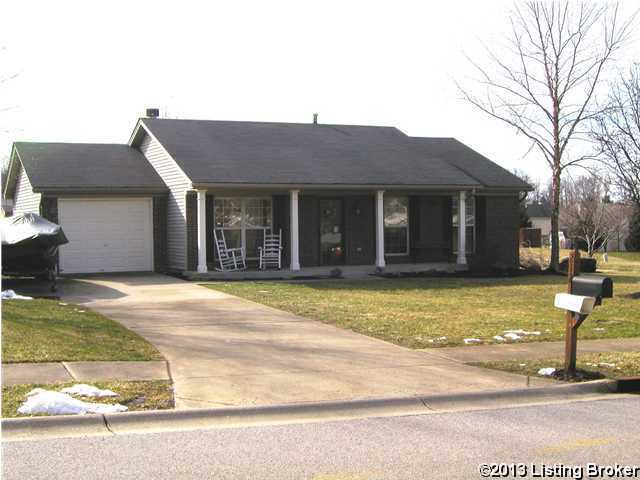 This home is located in the city of La Grange , in zip code 40031, this Oldham County Home, it is in the WOODLAND LAKES Subdivision, and GLENEAGLES ESTATES are nearby neighborhoods.